Warning! Spoilers for Arrow’s season five finale are below! Last night. Arrow wrapped up its current season with one very explosive finale. “Lian Yu” brought the superhero drama full circle as Oliver Queen return to the island he was shipwrecked on years ago. Determined to save his son William, the vigilante teamed up with Slade Wilson to find the boy and rescue his loved ones as they’d been taken to the island. However, Green Arrow’s plan didn’t go as expected, leaving the lives of many major characters in the balance. However, it looks like one of the show’s fan-favorite characters will not be making a comeback in Arrow’s sixth season. Taking to Instagram, John Barrowman has confirmed he is finished with the Arrowverse. 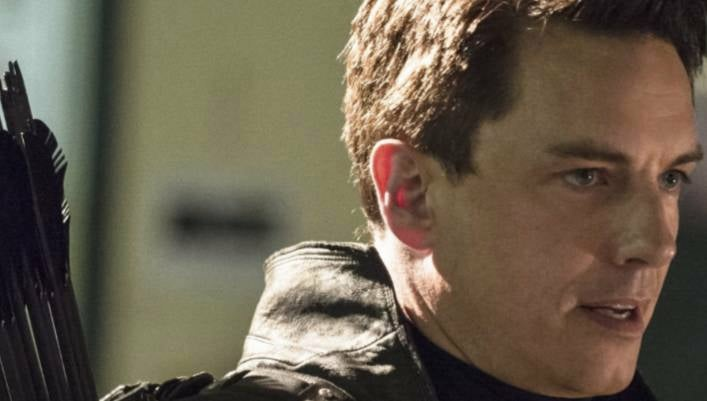 In a video posted for fans, Barrowman addressed viewers who were left stunned by Malcolm Merlyn’s apparent death on Arrow. The character was seen sacrificing his life for daughter Thea Queen after she stepped on a land mine. Merlyn took her spot, giving Team Arrow enough time to escape before he was cornered by some of Talia’s agents. The scene then shifted to Thea as she turned and watched the mine explode, presumably killing Merlyn off-screen. “I am very sad to be leaving the Arrowverse. I love playing Malcolm Merlyn, and you know - that’s it really. As sad as it may be, I understand how shows must change and also characters must change and develop. But that doesn’t mean I’m not very sad and upset about it. I appreciate your support and love you all,” the actor told fans. Of course, when it comes to the Arrowverse, it is hard to keep characters dead for long. On Arrow, several leads have been killed off only to be brought back. Sara Lance was suspected to have died before Arrow resurrected her not once but twice during her stint as the Black Canary. Laurel Lance was also killed on Arrow, marking another end to the Black Canary legacy, but the show recently brought the character back in an alternate reality form. 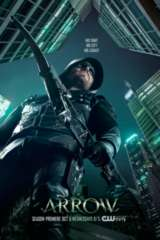 Arrow airs Wednesday nights at 8 p.m. ET/PT on The CW Television Network.